Open back design provides maximum comfort. Commercial quality 4 inch tailored seat features 1 inch thick padded top and covered in heavy duty vinyl fabric. 14 in. Diameter seat, 30 in. height. Chrome frame with double ring for increased rigidity. Each stool weights at 22 lbs. 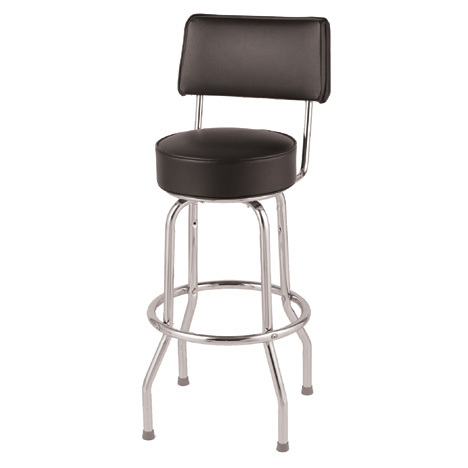 Pricing is per stool, minimum order is 4 stools. 14 in. Diam. seat, 30 in. height.